We’re off to the midge haven of Scotland for our summer holiday, so in true girl guide fashion I’ve followed the motto of “be prepared” and have stocked up on insect repellant and cream to apply on bites. 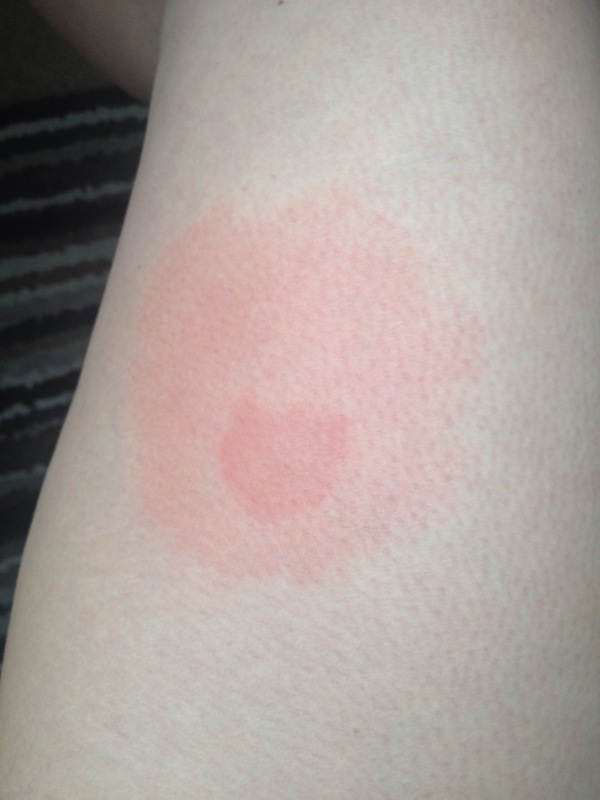 Just as well I did because just as my stock arrived I suffered this nasty bite to my thigh whilst outside in our garden, from what I can only imagine was a horse fly. As is usually the case I only noticed it when it started to itch. Immediately applied a generous amount of Stellaria cream from Neal’s Yard Remedies. This cream is rich in almond oil and chickweed extract – exactly what the skin needs to reduce inflammation, itching and allergy. I applied approximately every 3 hours (basically when the itching re-started after the last application) and now 5 days later it no longer itches and has reduced considerably. It didn’t bother me during the night either which was surprising! I’m sure if I hadn’t had this cream to hand the itching would have been unbearable and I probably would have been scarred from scratching. While we’re away I will also pop a few drops of citronella in a bowl of boiling water to diffuse through the van of an evening. Jackie Marsden is a qualified reflexologist and an independent consultant for Neal’s Yard Remedies Organic. All views are my own. Next Do you suffer from the Winter Blues?